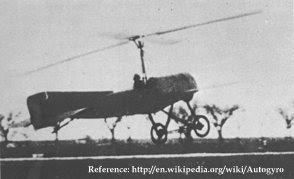 In 1920, Spanish scientist Juan de la Cierva invented the autogyro which is operated with forward airflow to rotate its rotor. This is called autorotation. 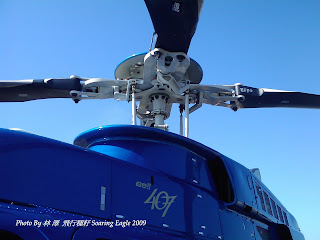 This is one of the most important inventions for the modern helicopters. Juan de la Cierva made a fixed-wing aircraft in 1912 which he used in a race. The aircraft crashed by losing power and stalling. So, Cierva thought: What can I do to make an anti-stall airplane? Cierva worked on a strange solution; he made a rotor system and positioned it on top of his aircraft and set it so that it had negative pitch for operating by forward air flow. Finally, he was successful and became the founding father of the autogyro. Cierva worked on a strange solution; he made a rotary wing and positioned it on top of his aircraft and set it so that it had negative pitch for operating by forward air flow. Finally, he was successful and became the founding father of the autogyro. “Autogyro” is an interesting word. It means the aircraft’s blade operates automatically just like a windmill. The normal modern autogyro has a rotor system, thrust system (often a piston engine with propeller), transmission system, fuselage, landing gear, horizontal fin and vertical fin with rudder. And the helicopter’s swashplate has three axes of motion, while most autogyros have only two. Autorotation is the state of flight where the main rotor system is being turned by the action of relative wind and continues turning even if the engine is not running. In normal powered flight, air is drawn into the main rotor system from above and exhausted downward. 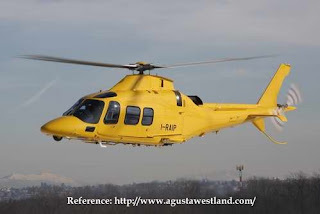 During autorotation, airflow enters the rotor disc from below as the helicopter descends. The Collective Pitch Change is a mechanism of helicopters and some abnormal autogyros. The Collective Pitch Change means simultaneously changing the pitch of all the blades, an illustration of which is shown on the screen. The Cyclic Pitch Change is a control function of modern autogyros and helicopters. The cyclic pitch change function is used to control the roll and pitch axes of modern autogyros and helicopters. 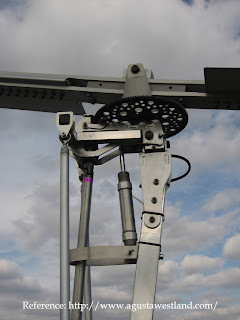 With a counter-clockwise main rotor blade rotation, as each blade passes the 90° position on the left, the maximum increase in angle of attack occurs. As each blade passes the 90° position to the right, the maximum decrease in angle of attack occurs. Maximum deflection takes place 90° later—maximum upward deflection at the rear and maximum downward deflection at the front—and the tip-path plane tips forward. 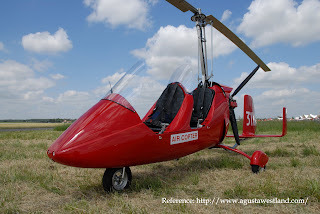 The autogyro really looks like a helicopter, but the autogyro was invented from a fixed-wing airplane, so if a normal autogyro wants to lift off the ground, then it needs a runway. Line up on the runway, and start the engine. After the starting sequence, the engine diverts part of its power to the rotor. This sequence is called pre-rotation. After pre-rotation, increase power to maximum. In the meantime, the rotor accelerates by both engine and forward airflow. After takeoff, the autogyro employs a clutch to cut the power supply from the engine to the rotor. Since the autogyro has no power supply from the engine to its rotor disc, it operates by forward airflow. Just decrease the power supply and line up with the runway or any landing pad. Maintain landing air speed. At the last moment, tilt up, and touchdown. How can the autogyro jump without powerful legs? Of course the autogyro can do it! Although the autogyro has the prerotation function to accelerate its rotor, it is still unable to make the autogyro take off vertically without relative airflow. Since the gyroplane has no anti-torque rotor, the designers must find a solution which allows the gyroplane to take off vertically without relative airflow and torque from the engine and rotor. The solution is that the designers bestowed the autogyro with the collective pitch change mechanism, which is the miracle of the autogyro! So, how does the mechanism operate? The answer is that, firstly, the rotor accelerates by partial power of the engine. Secondly, after the accelerating sequence is completed (and the rotation speed is greater than required for cruising), disengage the clutch and turn the pitch of all the blades from negative into positive for jumping. Third, full power, go! Captain: Shut down the engine and bring us into autorotation! 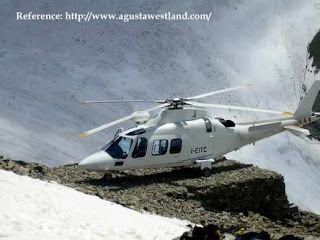 If an accident is due to structural failure, the autogyro or helicopter would probably have a meeting with God. But if the accident is due to the engine malfunctioning, the pilot and craft should survive without any damage. 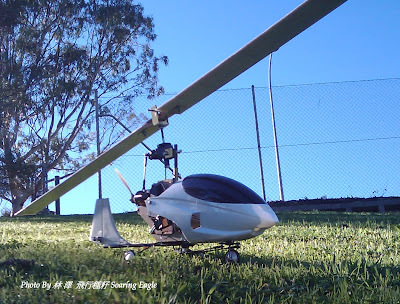 Since the gyroplane always flies with auto-rotation, all the pilot can do if the engine is not functional is keep the rotor in the safety rotation speed, and decrease altitude, then brace for the landing impact. In the 21st century, the autogyro doesn’t have any value in dangerous battlefields or most military units, because it’s too slow, too easy to target by RPG or other small arms and unable to carry out any dangerous missions even just as a scout ship. The social significance of the autogyro in the 21st century: is that it’s used for sport, low danger border surveillance and patrolling, oil and gas pipeline inspection, high voltage power line inspection, aerial survey, highway & forest patrolling, agriculture crop spraying & dusting and locust control. The most important contribution of the autogyro is due to the introduction to modern helicopters of the Cyclic Pitch Change pattern, Collective Pitch Change pattern and auto-rotation emergency landing pattern, allowing them to save lives in any situation!